London: Published at R. Ackermann's Repository of Arts, 1823. First Edition. Hardcover Hardcover. Very Good. viii, 120 pages, plus 17 handcolored aquatint plates by Lory and a map of the Glaciers of the Canton of Berne. Large octavo, 10-5/8 by 7-1/4 inches. The first book edition of this travelogue, which originally appeared in Ackermann's Repository of the Arts, series 2, volumes XI to XIII. A classic British travel book, with lovely illustrations. The text is a collection of uncredited travelogues, including a first-person account of the Meyer brothers' 1812 ascent of the Jungfrau and Finsteraarhorn (pages 60 to 86). See Abbey, Travel in Aquatint and Lithography, 1770-1860, volume I, 57; Hardie, English Coloured Books, pp. 112-3; Prideaux, Aquatint Engraving, p. 347 and 377 (but dated incorrectly). First edition (first printing). 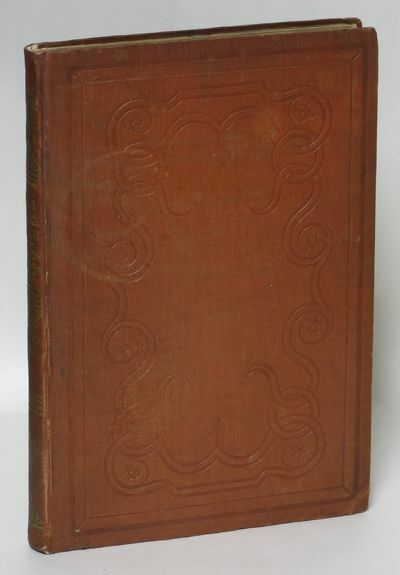 Original fine-ribbed orange-brown cloth, blindstamped on boards and decorated in gilt on the spine; top edge gilt; expertly recased, preserving the original endpapers. Bookplate of Robert Duckle on front pastedown. The map is not colored, as seen in some copies. The plates in this copy are found in several states. Five of those present here include the titling and numbering from the magazine issue (probably representing plates left over from the periodical binding). The map is rather foxed; one plate has a few small water spots; but generally clean and attractive.